” It could be tea, it might be trouble and it most definitely includes the bottles on the shelf”. 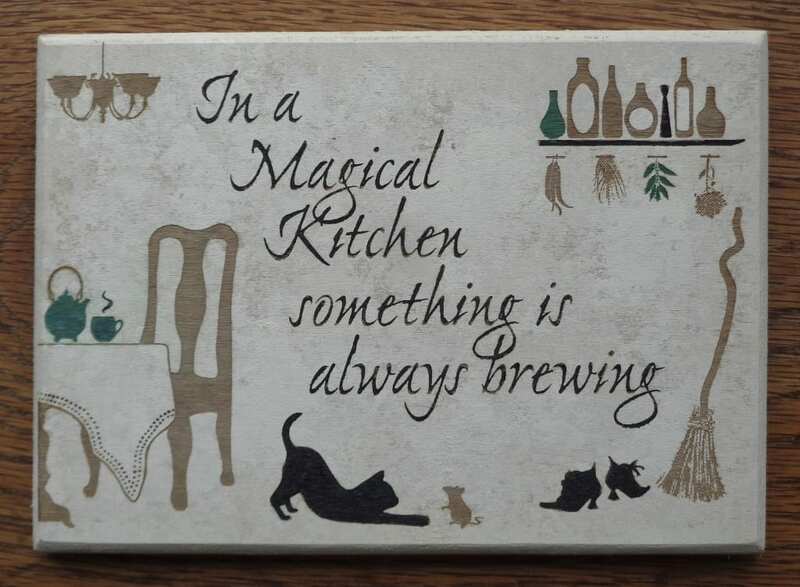 This hand painted laser etched kitchen plaque says it all. 5 x 7 inches and made from 1/2 inch plywood, the base paint is several shades of ivory, finished with black and green highlights. The brown is unpainted wood. Designed so it is possible to add a name! 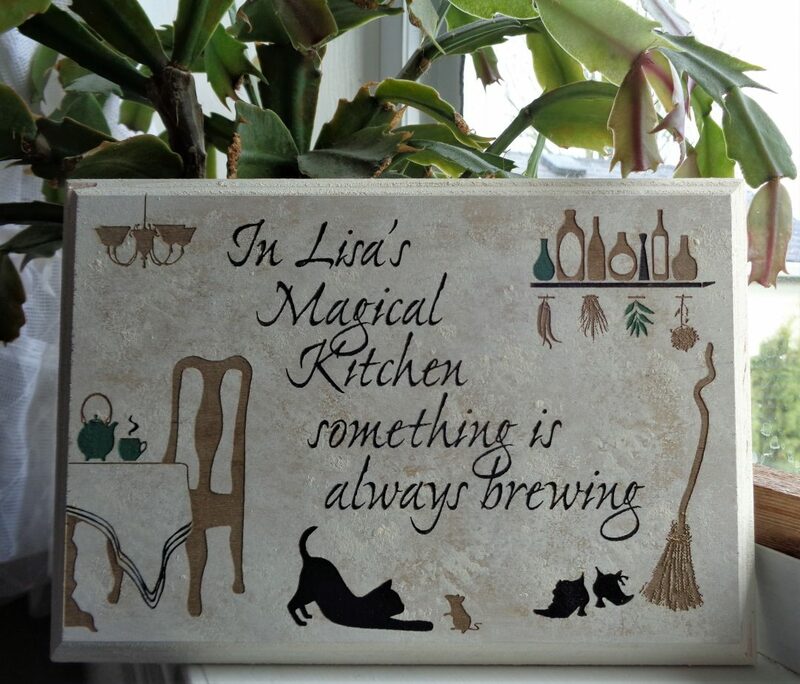 If you are someone or know someone who absolutely lives in a magical kitchen, this could be the perfect finishing touch. There is a place in the check out process that asks for the name you would like to add. More than eight letters may require reducing the font size.